Hey, y’all! 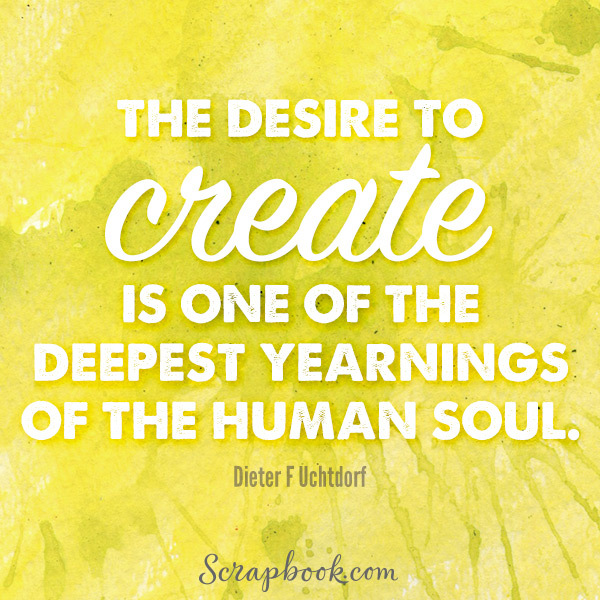 I’m sharing a card I created for the Craftin’ Desert Divas August Mood Board Challenge! To play along, just use CDD products with the mood board inspiration, and then share it on social media. 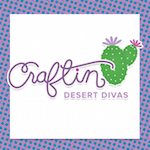 Be sure to tag Craftin’ Desert Divas with #cddmonthly for a chance to win! More information is available in the Files section of the Craftin’ Desert Divas Gallery Facebook Group. In this theme, I see birthday stuff! So, I made a cute little birthday card using the “Happy Hello” digital stamp. This stamp is SO cute and I’ve had my eye on it for a while to make a birthday card. I colored her up with Copic markers to match Doodlebug’s Fairy Tales set. Can you tell I like Doodlebug? For this one, I decided to make a shaker card. I cut out everything using my Scan N’ Cut. I only had to cut a little with my craft knife to get the insides of the balloon strings. I did decide to use a silver thread for the balloon strings instead of the black lines. Yeah, it took a little longer, but I think it was worth it. To make the frame for the shaker, I used the Inside Scalloped Rectangle dies from Craftin’ Desert Divas. These have very quickly become a go-to die for me. For the filler in my shaker window, I used hot pink and purple micro beads, clear iridescent seed beads, and iridescent star sequins. I just LOVE how it came out! It’s very girly and since I have 8 nephews and only 2 nieces I don’t get to make very many girly cards. For a finishing touch, there’s an extra thick layer of Glossy Accents over the balloons. This is because when the first layer was almost dry, I was messing around with it thinking I could be careful and finish the card while it was still wet and stuck my thumb in it. 🙁 So, I had to put another layer. For the inside, I decided to use a little sentiment from the 6×6 Fairy Tales paper pad. I think it looks perfect! Some links below are affiliate links which means I’ll earn a small commission from the retailer at NO EXTRA cost to you if you purchase from these links. I appreciate your support in helping me keep bringing you new cards! Thank you! Monsters like to shake on their birthdays! I first had the idea for this card a couple months ago when I got the Oogles stamp set from The Alley Way Stamps. I colored up the blue monster and he just didn’t like how he turned out. He’s supposed to be going to a party and I had him all straight-laced. And he was lonely! No one wants to party alone for a birthday! Then, while I kept having other project jump in front of him, he kept nudging me and asking politely (all monsters are polite) if I could finish his party. At first, this was going to be a single layer image. Then, y’all know me, I started with the “what if’s”. After that, it became a challenge. I was thinking that sure, all these monsters are at a party, but monsters would REALLY party! You know, by throwing confetti??? So, the idea became a shaker card, but I wanted to keep my main image. To get the main image, I used my MISTI and did some masking. I think there were only 2 of the monsters from the Oogles stamp set that couldn’t make it. And, to top it all off, I wanted to make it no lines. Hey, I’m a glutton for punishment. I really like how the monsters turned out. The blue monster colored up a lot better in practice, but I still like him. Because these were clear stamps and I didn’t plan for it to be cut out, I had to hand cut inside the frame. This is where my trusty Xacto knife comes in handy, and my ginger scissors. I glued the main image down on to a transparency, then got glue all over it so I had to take it off and do it again. To do the foam for the shaker, I doubled up some foam tape that I had cut into 3/16″ strips (not perfectly, but workable). Then I went to town with my baby powder and dryer sheet. Apparently I STILL didn’t use them enough because some are still clinging. I stamped the greeting on the back panel of the shaker piece and then started filling the front. I went overboard. I used yellow stars, silver stars in 2 sizes, confetti, and 3 colors of micro beads. I wanted to keep the layout simple, to keep the main focus on the shaker part. I also stamped the balloons afterwards and fussy cut around them. Then I adhered them to the front panel with some quick drying adhesive. I took the silver thread and tied it around each little balloon piece. Then pulled it to the monster’s hand and tied a knot. I adhered the knot down using Multi Medium Matte. I also used this to seal the ends of the threads so they wouldn’t fray. For the inside, I wanted to keep it REALLY simple! I stamped my greetings on patterned paper and called it done. I figure they’ll be too busy looking at the front of the card anyway. It actually did turn out like I thought about in my head, so I’m pretty tickled right now. The little blue monster is pretty tickled too. He got a party AND got to hold the balloons. I hope you enjoyed my card. If you have any questions, please be sure to let me know. All products I’ve used in this post are linked at the bottom. Shaker cards have been all the rage recently. I made my first shaker box about 10 years ago. These are my first shaker “cards” though. Same principle, just on a different type of project. Jennifer McGuire & Kristina Werner have recently done some tips and tricks on shaker boxes on their YouTube channels. Yes, shaker boxes are easy, but they had a few tips and tricks to make it easier! I definitely recommend watching them. Yes, I learned something new from each of them! Okay, so back to the adorable little shakers! I decided to use the “No Peeking” set from Mama Elephant. Nichol Magouirk recently did a card that I got the idea from. Hers wasn’t a shaker card, and it didn’t use this stamp set, but she had Santa peeking in a window. 🙂 Y’all know me… I have to tweak everything! I cut out the window from the Peek-A-Frames die set, by Mama Elephant as well, in both Neenah Cream 80# cardstock and PTI Kraft cardstock. I also cut a piece of a transparency to a little larger than the whole window and adhered this to the window. Next, I took some stickles and made ice on the window panes. You can’t feel it because I put it on the outside of the windows, which is really the inside of the shaker part. I added 2 layers of foam tape around the window. I didn’t put it in between the panes. Then, I stamped the tree line from Lawn Fawn’s Snow Day stamp set, using SSS Olive ink, on some XPress-It cardstock. I made some masks using the white post-it tape and placed those as snow banks. After that, I used the inking tool and Tumbled Glass distress ink to make my sky and then made little dot with opaque white using a stylus. I stamped each of the critters from the set in a ink that would blend in. For the polar bear I did double stamping with Tuxedo Black ink. For the fox, I did double stamping with Rice Cocoa ink. The reindeer was going to be dark enough that I could just use the rich cocoa. I colored these in with my Copics and added some finishing touches like black glaze on their eyes and white glints after. I have 1 wish list thing for stamp and die manufacturers! Know how we have all these confetti dies? How about we get a snowflake confetti die where there are teeny tiny little snow flakes (about 3/8″ wide) and each one is different??? Would make for some GORGEOUS Christmas/Winter shaker cards! Okay, so I used my Martha Stewart border punch on some thin vellum and also some copy paper to make little shaker fillers. A die would have been so much easier as this paper punch is not working very well any more. I put my fillers on the colored panel and then lined my shaker front on top of it. After this, I stamped my greeting using SSS Lipstick Red ink. Please do this BEFORE putting foam tape. It would be so much easier! Before adhering this to the card front, I tied some Doodlebug Christmas twine into a bow. I cut and scored my cards from SSS Lipstick Red cardstock to be A4 (I know, shocker!!! I haven’t made a card this size in a LONG time!) top-folding cards. I’m trying to use up this twine because I have a roll of Lawn Fawn’s mistletoe twine coming. 🙂 I also went over the sentiment using the clear wink of stella pen. For the inside, I kept it nice and simple with some room for writing. 🙂 I stamped the sentiment in VersaMark ink and then Embossed it with Ranger Superfine White Embossing Powder.